Objectives: Remote sensing of biodiversity is critical at a time when the Earth's biodiversity loss due to human activities is accelerating at an unprecedented rate. Functional plant diversity is highly associated with plant biodiversity, and recent technological and computational advances allow the detection of plant functional traits and trait diversity from spectral data that can be remotely sensed. This presents a timely and tremendously important opportunity to globally detect changes in the Earth's functional biodiversity. Although biodiversity itself cannot practically be observed everywhere, if functional traits and trait diversity can be remotely sensed using spectral data, the potential exists to at least globally inventory the diversity of traits associated with terrestrial biodiversity. Moreover, spectral data and the functional traits they predict can be linked to phylogenetic data as a means to estimate changes in biodiversity patterns globally. However, the mathematical models and computational approaches to integrate multiple complex multidimensional datasets are underdeveloped. We bring together biological and computational experts from three disciplines—remote sensing and leaf optics, plant functional biology and systematics—to develop a framework and set of computational tools for linking spectral data, functional traits, and phylogenetics. Our goal is to transform the ability of humanity to detect and interpret the changing functional biodiversity of Planet Earth. Meeting 1 Summary. The Working Group pooled leaf optical spectra (400 – 2500nm) from sites across three continents and multiple biomes. Based on knowledge of how spectral features are linked to functional traits, our goal was to test hypotheses about regions of the spectra that would be most conserved or labile and show highest and lowest rates of evolution. A major hurdle to overcome in testing these hypotheses involves reconciling data from different sources. We further developed a pipeline for working with spectral data, reconciling data from different sources, and analyzing it within the context of the tree of life. We outlined a synthesis paper for locating unknown spectra on the tree of life to be developed over the following year. One R package has been completed for processing spectral data (https://github.com/meireles/spectrolab). All data has been included in the EcoSIS database and fully processed. Two manuscripts are in progress. We also proposed and had accepted an edited volume to be published by Springer on Remote Sensing of Plant Biodiversity: Using spectral signals of plants to understand the biology and biodiversity of plants, plant communities, ecosystems and the tree of life. The completed volume will be submitted for publication in 2018. Our ongoing work has been disseminated in keynote addresses and presentations at a number of venues including at the Ecological Society of America Meetings (2016, 2017), the NASA Ecological Forecasting Meetings (2016, 2017), the National Science Foundation, among others, and in keynote address at international meetings including the Global Change and Biodiversity in Monte Verita in 2016, and at the Global Botanical Gardens Congress in Geneva in 2017. Meeting 2 summary. 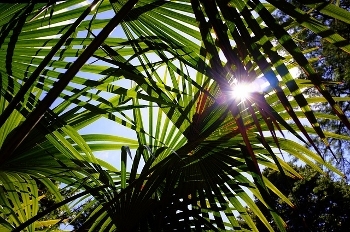 The Working Group brought together biological and computational experts from three disciplines—remote sensing and leaf optics, plant functional biology and systematics—to develop a framework and set of computational tools for linking spectral data, functional traits, and phylogenetics. We developed a plan to combine leaf spectral data from the largest datasets around the world into the EcoSIS database and use these to link spectra to the plant tree of life and planned a methodological approach for combining spectra obtained with different instruments. We then developed a series of hypothesis about regions of the spectra (400 – 2500 nm) likely to be most phylogenetically labile or conserved and would have contrasting rates of evolution. Finally, we proposed an approach for deciphering where in the phylogeny an unknown spectra could be placed. 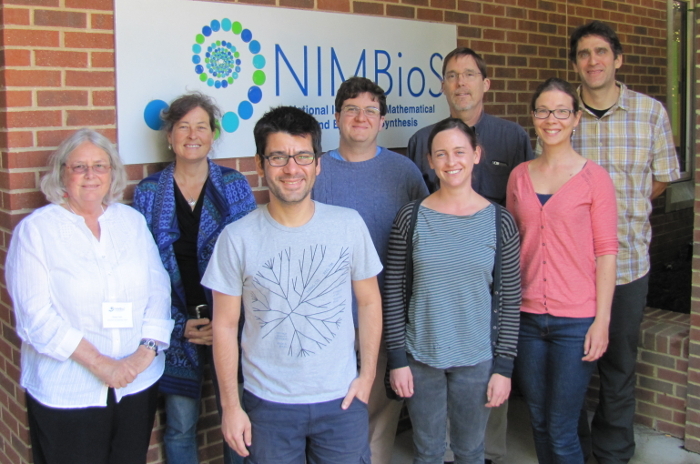 Meeting 1 participants (L to R): Aditya Singh, John A. Gamon, Jose Eduardo Meireles, Michael Schaepman, Brian O'Meara, Susan Ustin, Franziska Schrodt, Anna Schweiger, Phil Townsend, Jeannine Cavender-Bares. Meeting 2 participants (L to R): Susan Ustin, Jeannine Cavender-Bares, Jose Eduardo Meireles, Brian O'Meara, Anna Schweiger, John A. Gamon, Franziska Schrodt, Phil Townsend. 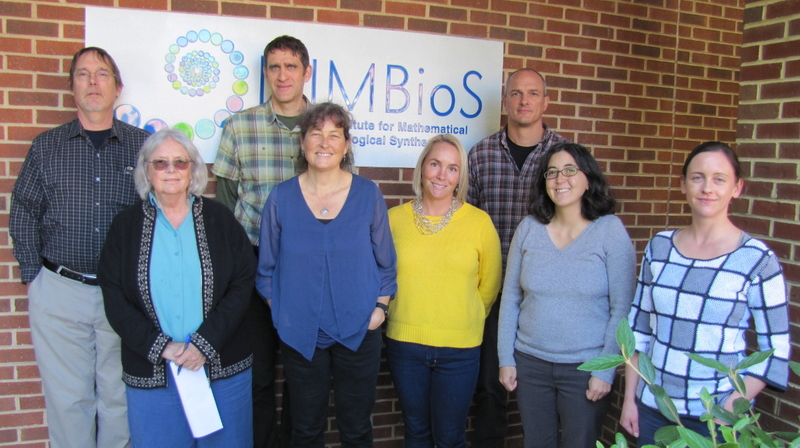 Meeting 3 participants (L to R): John A. Gamon, Susan Ustin, Phil Townsend, Jeannine Cavender-Bares, Erin Hestir, Mike Madritch, Sydne Record, Anna Schweiger. Not pictured: Brian O'Meara.